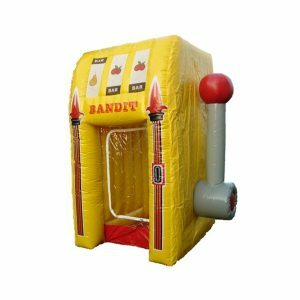 If you are you looking for a portable rock wall to rent, we have just the product for you. 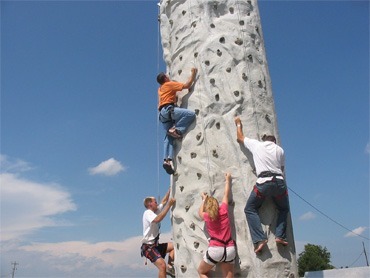 Our portable rock wall scrapes the sky, towering over anyone who dares to climb it at 25 feet. 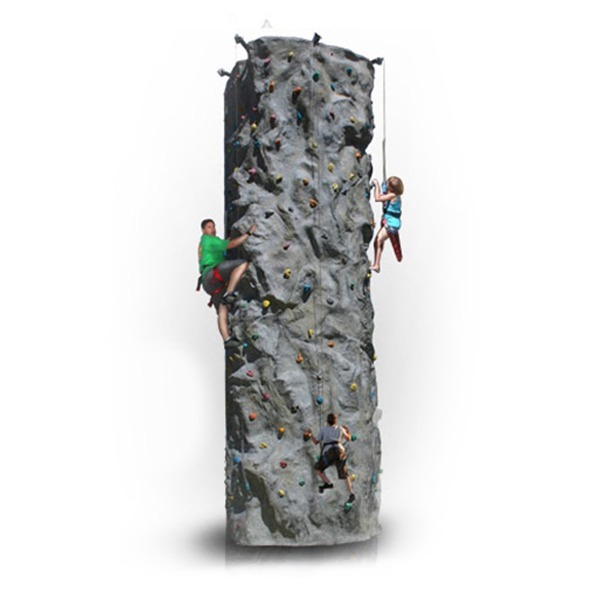 It also has enough surface area to accommodate up to four climbers at once, allowing for competitive fun between teammates and friends of all sorts. 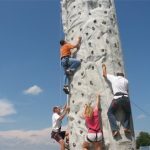 Rock climbing doesn’t always have to be a solitary sport where one goes to climb desert hills all by their lonesome, it can be a group exercise as well! 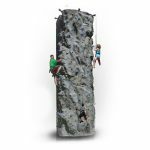 Another feature that will be sure to both impress and ensure you this product is 100% safe is our hydraulic auto-belay system. What is a belayer though, you ask? 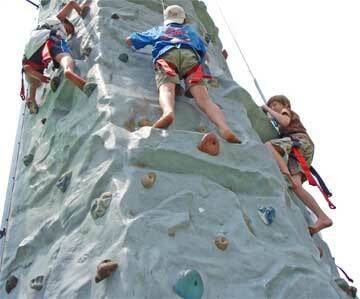 A belayer is “the person on the ground who secures the climber, keeping a close eye on the climber’s progress and letting out slack to the line by releasing the belay,” and a belay is “a special device that locks the rope a little at a time as the climber slowly ascends.” With the automated, hydraulic auto-belay system the cost for operating the rock wall is eliminated and climbers can enjoy an unlimited amount of climbing because our top of the line systems never get tired like humans do. 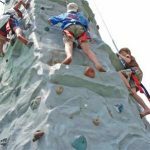 Our rock climbing wall holds also make for a safe climb where no one will have to worry about hurting their hands or any other body parts involved with climbing. 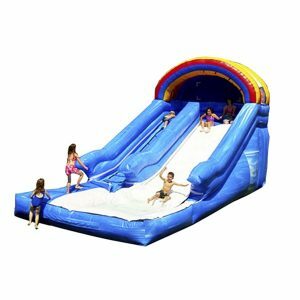 If you are brain storming for outdoor party ideas, ideas for graduation parties, company parties, etc., NY Party work truly has just the product for you (we have indoor and indoor/outdoor hybrid options as well). 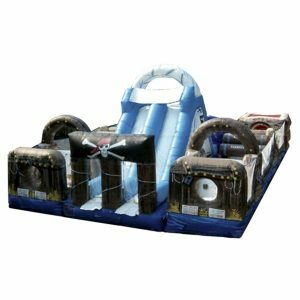 If you want to make a competition out of it, we also offer prizes and giveaways for winners! 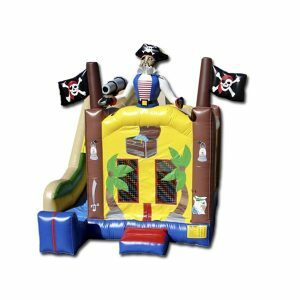 If you have any questions or would like to begin bringing your next party to life and want to start generating excitement for your party, give us a call at (800)469-3866 or click on the button below and fill out the form. Thank you for reading and we look forward to hearing from you!